Stay comfortable and play your best at any time of year with Puma golf pants. We carry a great selection of styles for both men and women, including Puma golf joggers, tailored pants, and capris. These pants are made to move and stretch with you, making them ideal for the golf course or any other activity. Puma Tech golf pants offer a style and versatility that can even be worn to a business casual office. Puma golf pants are not only designed to flex and move with you to give you the range of motion you need on the golf course, they include a wide variety of additional features. Moisture-wicking fabrics and dryCELL technology keep you dry and comfortable even on those hot summer days, and several styles include UV protection to help shield you from the sun. Choose from button and zip front closures or pull-on options, as well as Puma golf pants with pockets. If you're looking for Puma men's golf pants that will look good and keep you moving on or off the course, Carl's Golfland has just what you need. Choose from classic colors in shades of navy, gray, beige, or black. Go for the tailored look of the Puma Tech golf pants or try the more modern Puma golf joggers with their lightweight elastic cuffs. This style is available in Junior sizes too! From capris to joggers to classic tailoring, you'll find the perfect Puma golf pants for women at Carl's. Our women's selection includes many options similar to the men's pants, including moisture-wicking fabrics and UV protection. Choose from a variety of comfortable styles that amplify your performance and keep you looking great. 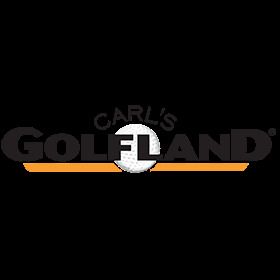 Carl's Golfland is an authorized Puma dealer, so you can be confident that you're getting the genuine product. We also offer some of the best prices you'll see anywhere on Puma golf pants, shorts, shirts, and other apparel. Shop our great selection today and don't hesitate to call our Puma Golf apparel experts at 877-412-2757. We're here to help.